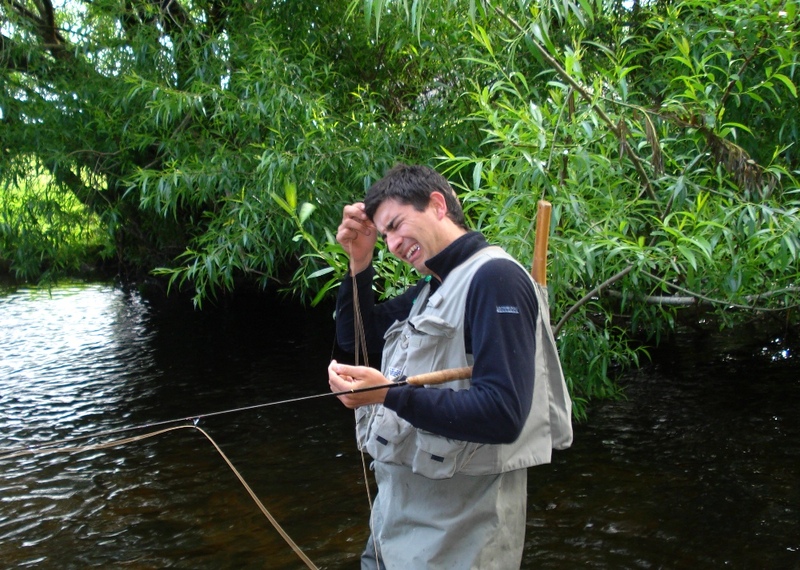 The fatigued angler attempts to remove a buried barb from the brain. On our first date, my wife to be hooked herself on the back pocket with a White Wulff. 14 years later I’m still not sure it was an accident.